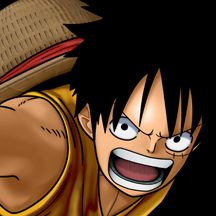 Captain of the Straw Hat Pirates. He ate a Pramecia Devil Fruit, Gum-Gum Fruit and became a rubberman. His goal is to find the One Piece and become King of the Pirates.